歷時數個月開發的 iOS 5.1.1 完美破解 (Untethered Jailbreak) 方案終於發佈了, 與對上版本 iOS 5.0.1 完美破解方案一樣, 由 Pod2g, MuscleNerd 等黑客組成的 Dream Team 打造. 是次的 iOS 5.1.1 完美破解方案, 將支援所有使用 A4/ A5 及 A5X 的 iOS 主機; 包括 iPhone 3Gs/ iPhone 4/ iPhone 4S, iPad/ iPad 2/ The New iPad (iPad 3), iPod Touch 3G/ iPod Touch 4G (不包括 Apple TV 2G, Apple TV 3); 使用 Absinthe 2. 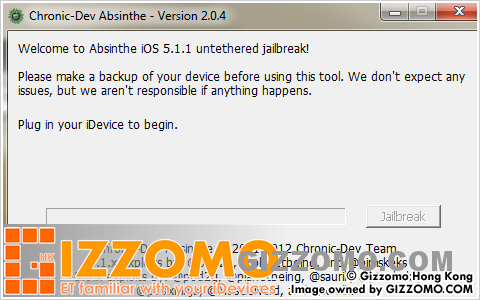 用家等到 「頸都長」, iOS 5.1.1 完美破解方案終於發佈了; Gizzomo 同時已完成實機測試, 推出適用於 A4/ A5/ A5X 主機的 iOS 5.1.1 的破解 (越獄) 教學系列. iOS 5.1.1 的破解 (越獄) 教學方案適用於所有使用 A4/ A5/ A5X 處理器的 iOS 主機, 包括 iPad 1/ 2/ 3, iPhone 3Gs/ 4/ 4S, iPod Touch 3G/ 4G (Apple TV 2G, Apple TV 3 除外). 所有教學發佈前已使用實機作出測試. 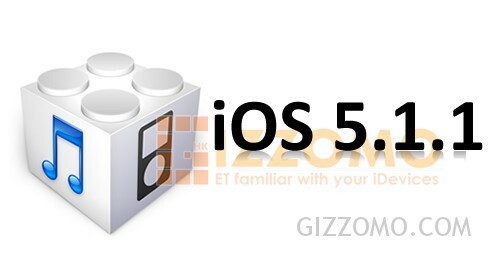 Gizzomo 強烈建議您必須先備份主機的 iOS 5.1.1 版本的 SHSH 認證檔案, 按此查看 ECID SHSH 使用相關教學系列. 所有教學推出前經已進行實機測試. 以上教學均已在 Gizzomo.Com 發佈; 若使用時有疑難, 請立即在討論區或 WhatsApp 尋求協助.